It's designed to make your life as a business owner easier. The intuitive interface can be used without any training, making it easier for new cassiers to start work. We've added some great tools to minimize human error and keep your customers happy, both online and offline. We trust that POS for Webshops will help your business. 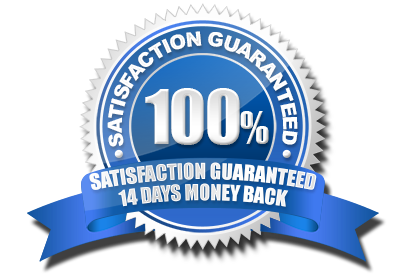 If it doesn't meet your expectations, we will give you a full refund within 14 days, no questions asked (but we do appreciate to get some feedback). POS for Webshops can be installed locally on your own computer, or online on a webserver. All your data is synced live between your POS and Webshop but will be buffered when you don't have an internet connection available. 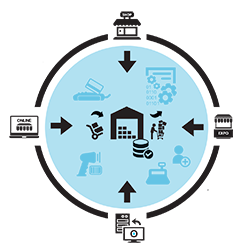 Your data will automatically be stored and synced when your pc goes back online. We have been proud users of POS for Webshops for over a year now. It is a point of sale system that provides significant assistance with managing our business. In my store employees did not even need a lick of help they picked it up right away after I configured! I am so impressed with you guys and this software you are awesome! My last 2 POS systems left a bad taste in my mouth, you are a breath of fresh air for me.